When you leave a comment on THIS post by 6 p.m. CT Sunday, April 28, 2012 you'll be entered in the DRAWING for a copy of one of our guest’s books below. If you mention in your comment that you’re a follower (see in the left column “Join This Site” and “Follow by Email”), I’ll add your name a second time in the drawing. You must be eighteen, have a U.S. mailing address, void where prohibited. You can read details about my book giveaways at Disclaimers. A best-selling, award-winning author, LINDA WOOD RONDEAU writes out of the box. Her stories are told with poignancy and always splashed with humor. Walk with her unforgettable characters as they journey paths not unlike our own. A veteran social worker, the author now resides in Jacksonville, Florida. LINDA: Some folks say I am a writer. I suppose since I occasionally get paid to create words on a page, that is what I am. But first and foremost, I am many other things. I am a wife of one very patient man, I am the mother of three wonderful adult children who make me proud every day. I am the grandmother of nine fantastic grandchildren. I am a sister, aunt, cousin and friend. These are the roles that truly define who we are. As for my writing? I write primarily fiction, out of the box and a definite genre blended. Mostly my works are contemporary. I draw upon my thirty years of human services employment to fashion a variety of characters. LINDA: I was a member of a folk-singing group a few decades ago called Sympatico (Spanish for harmonious). I have done community theater for thirty years and met my husband doing the play, Juno and the Paycock. I am an avid golfer and a closet Golf Channel junkie. LINDA: Besides golfing with hubby and watching television, I enjoy the Wii, taking walks, exploring museum, and going to the beach. Oh, and I love to browse. Won’t say shopping because I hate to spend money, but I love to look! LINDA: Like most writers, I was born with a pencil in my hand and loved to tell stories to the younger children on the school bus. I loved writing policies and procedures during my social work career, but I especially enjoyed writing social histories and case studies. I found people fascinating. I wrote church plays and monologues but never dreamed I could be a professional writer until my fifties. I retired early and set my heart toward publication. I did publish many short pieces but it took eleven years before my first novel was published. I am hooked and can’t imagine doing anything else. Hubby said to me, “I don’t care if you make a plug nickel from writing. You’ve found your passion and should stick with it.” Gotta love a man like that. LINDA: I’m fortunate to have my own office. Hubby’s computer and files are in here with me but he mostly uses the laptop on our kitchen counter. He’s happy there as he can computerize and watch television at the same time. Me? I need the quiet away from distractions like music and television. Music makes me want to dance and it’s too hard when you’re typing. And I get lost in story studying when I watch television. Even on the Golf Channel. LINDA: No. Titles grow on me. My non-fiction book was first called Proverbs for Moms. Then I invented a caricature called Daisy and rewrote the book as According to Daisy. I changed it to Growing Up with Kids and finally settled on I Prayed for Patience God Gave Me Children. I’m working on a novel with the same title. My Christmas best seller started out as Tomorrow Will Find Me then became It Really IS a Wonderful Life. Days of Vines and Roses, however, started out with that title and stayed with that title. JO: Please tell us about Days of Vines and Roses. LINDA: I wanted to write a book about marriage. One day I was mowing the lawn and cried because the yard was nothing but weeds. I thought about how much we neglect our marriages, letting weeds of personal agendas crowd the blooms of our love. Thus Sylvia and Henry came to life, a romance writer and her publisher husband who have lived apart for fifteen years. Sylvia, aka Lana Longstreet, convinces Henry to move into their Connecticut home for a summer. 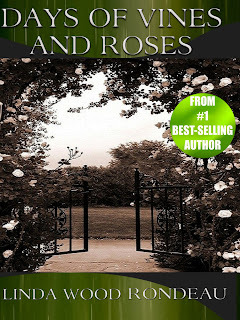 She is on a tight deadline and their centuries old rose gardens are in peril due to encroaching vines. Henry has never stayed at the home very long, blaming badly behaving ghosts who deride him. No one else sees them. But as the couple move toward reconciliation, the paranormal activity within the home increases…bent on keeping the couple apart. A pending lawsuit threatens to put the final rift between them. Not until they both surrender to God’s higher authority do they find renewal and peace. While the book has significant drama, it is also very humorous. LINDA: It is my prayer that couples will see themselves through Sylvia and Henry and pledge to prevent the obsessions that nearly destroyed their marriage. LINDA: Much. Although I am familiar with both New Haven and Manhattan, I had to research geography. I researched the American War of Independence and Connecticut’s role in the war. I researched Satanic oppression and home possession from Christians who experienced paranormal events in their homes. While doing so, I asked for prayer cover. I researched architectural designs and, of course, gardening, particularly roses. I can’t grow a thing. How I wish I had Charlie Michael’s talent when it comes to restoring gardens. LINDA: I’ve been writing professionally since 2001. I sold my first book eleven years to the date I committed my writing to God. LINDA: Be patient. Hone your craft. Build your platform. Network. Join writing groups. Attend conferences. Don’t be in a rush to self-publish. LINDA: I have several projects going on. I am writing a Christmas novella about a Country Western Singer and a journalist who is the caregiver for her autistic brother. I am working on a revision for a contracted book, Songs in the Valley, with Helping Hands Press. I am also working on another Adirondack suspense similar to The Other Side of Darkness, my award-winning book. And I am also working on the novel based on my non-fiction book, I Prayed for Patience God Gave Me Children. I am working on compiling my seven-years of columns for a local newspaper into a non-fiction series. In addition to these projects I am working on expanding my multi-author blog, Geezer Guys and Gals, as well as my devotional blog, This Daily Grind. LINDA: Patience. Patience. Patience. Pray. Pray. Pray. Rewrite. Rewrite. Rewrite. LINDA: I Prayed for Patience God Gave Me Children is currently rated in Amazon’s top 100 of devotional books and is also available wherever ebooks are sold, including Nook and Kobo. Days of Vines and Roses is also available in ebook wherever ebooks are sold. Amazon, Nook, and Kobo. My other books can be linked from my website www.lindarondeau.com. 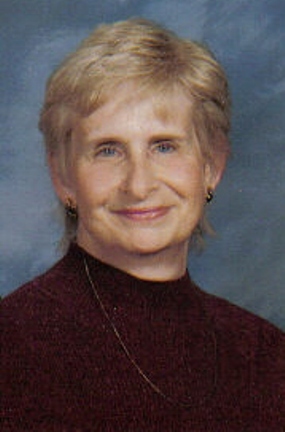 LINDA: In addition to my website above, I am on Facebook, Twitter, Goodreads. LINDA: Thanks for hosting me today. JO: Thank you, Linda, for this interesting interview and for graciously offering a copy of one of your books to a winner from those commenting on this blog. Remember: leave a comment on THIS post by 6 p.m. CT Sunday, April 28, 2013 and you'll be entered in the drawing for a copy of one of Linda Rondeau’s books. You must be eighteen, have a U.S. mailing address, void where prohibited. Please, please remember to leave your email address so that should you be the winner I can get in touch with you for your mailing address. I’ll announce the winner in Monday’s blog. Please enter me. I'd love to win and read an author I've not read. Glad you liked the interview and also found a new author for you. Thanks for reading my blog and leaving a comment. Good luck in the drawing. I've never read anything about this author or read her book. I would love to win her book. Please enter me in the contest. Also, I am a follower. Barbara, you're entered! And you get an extra entry for commenting on my Monday character interview. Thanks for coming by and leaving a comment. Glad you've found a new author to read. Good luck in the drawing. I am a big follower of reading in general. I like all kinds of books and keep my Kindle full all the time. I would love to win her book. Jean, thanks for stopping by and leaving your comment. Good luck in the drawing. I so enjoyed this interview and I especially like her advice about Patience. Patience. Patience. I think this is true for any endeavor. Would love to win this book! Connie, glad you enjoyed the interview. I agree, we need patience all day. Thanks for reading and leaving your comment. Good luck in the drawing. Shelia, glad you enjoyed the interview. Thanks for reading and leaving a comment. I appreciate you being a follower and you get an extra entry for commenting on Monday's character interview. Good luck in the drawing. Cindi, you're welcome and you get an extra entry for commenting on Monday's character interview. Thanks for reading and leaving a comment. Good luck in the drawing. This sounds very interesting. I have never heard or read of a book with this story line nor I have I heard of this author until today. Deanna, glad you liked the interview and found a new author to read. Thanks for coming by and leaving your comment. I appreciate you being a follower. Good luck in the drawing. Maxie, thanks for coming by and leaving your comment. Glad you liked the interview. I appreciate you being a follower of my blog and also for commenting on my Monday character interview--you'll get an extra entry for that. I enjoyed the interview. I have not read any of Linda's books and would love to be entered. thanks! You're entered! Glad you enjoyed the interview and found an author new to you. Thanks for reading and leaving a comment. I'm so glad you're a follower of my blog. Good luck in the drawing. Kelly, thank you for being a follower of my blog and for your kind words! Thanks for leaving your comment. HOWEVER, I NEED YOUR EMAIL ADDRESS TO ENTER YOU IN THE BOOK DRAWING. Jo, thanks for hosting Linda. Although Linda's on my ACFW NE chapter loop, and I've followed her on her own blog, it wasn't until I read your interview that I learned so much more about Linda. Thanks for the opportunity to perhaps win one of her fine books. Elaine, you're welcome. Oh, my, Linda, hope we didn't let out some of your secrets. Elaine, thanks for stopping by and leaving your comment. Good luck in the drawing. Loved the interview, especially the two words for writers, prayers and patience! Linda is a new author to me. Would love to read this book. Glad you enjoyed the interview and met a new author. Thanks for being a follower of my blog and leaving your comment. Good luck in the drawing.